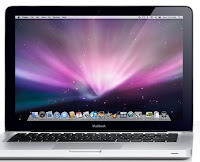 Apple introduced the new Macbook and Macbook Pro notebooks lat week. The release was controversial and stirred a great deal of angry posts around the Internet mainly because of the firewire port omission from the Macbook. Besides the usual processor upgrade for both of them the 2nd configuration Macbook pro now comes with 4 GB as standard. In addition both of them feature a new glass trackpad. The new macbook gets a proper graphics card this time ditching the crappy integrated intel chipset. The macbook pro notebooks get a second graphics as well enabling the user to choose which one to use in order to have more graphics power or to save battery life. Odd, but smart if you ask me. Apple as usual disregarded the angry people that have firewire camcorders or other firewire peripherals and Steve simply stated that “Actually all of the of the new camcorders of the past few years use USB 2”. So what exactly is Steve saying to us ? “Go buy a new camera”? Apple has been one of the companies to quickly ditch aging technology. The most famous ditch was the omission of the floppy drive on the first iMac. On the other hand there are tons of peripherals that make use of the firewire port. For example when buying an external hard drive I always opt for one that has firewire connectivity as well. Besides the steady transfer speed I use one USB less which is crucial on my USB-challenged Macbook Pro, which only has 2 USB ports. Another very odd thing about that is the fact the company that boosted firewire, as a technology, was Apple and made it standard to all the computer lines and iPods. What can I say? We just have to wait and see if Steve was right about that ?